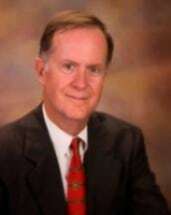 Attorney Robert T. "Bob" Copeland has been practicing law in Southwest Virginia since 1975. He offers assistance with complex litigation, bankruptcy, corporate law and commercial real estate as well as general legal representation. Holston Valley Distributing Co., Inc.
Copeland Law Firm, P.C., is located in Abingdon, Virginia, and serves Bristol, Marion, Lebanon, Meadowview, Glade Spring and Damascus. The firm represents clients in eight counties in Southwest Virginia, including Washington County, Smyth County, Grayson County, Russell County, Tazewell County, Buchanan County, Wythe County, Carroll County, Wise County, Dickenson County, Scott County and Lee County.